LOCATION.--Lat 40°49'50", long 74°58'40" referenced to North American Datum of 1983, White Township, Warren County, NJ, Hydrologic Unit 02040105, on right bank at Pequest, 100 ft upstream from abandoned railroad bridge, 300 ft downstream from Furnace Brook, and 2.0 mi north of Oxford. PERIOD OF RECORD.--October 1921 to current year. Monthly discharge only for October 1921, published in WSP 1302. REVISED RECORDS.--WSP 1902: 1940(M), 1945, 1955(M), 1957, 1959(M). GAGE.--Water-stage recorder with telemetry. Concrete control since Sep 29, 1929. Datum of gage is 398.78 ft above NGVD of 1929. 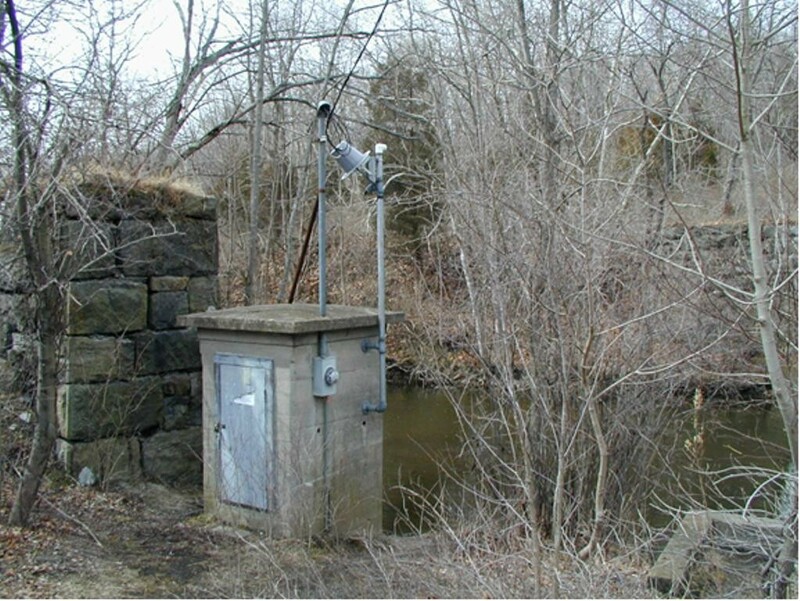 Prior to June 22, 1926, non-recording gage at site 10 ft upstream at same datum. REMARKS.--Records good, except for estimated discharges, which are fair. Between 1958 and 1960 approximately ten miles of the Pequest River from Long Bridge to below Vienna was dredged and realigned by the U.S. Soil Conservation Service (now called Natural Resources Conservation Service). This work may have affected peak discharges at this gage. Some regulation from unknown sources upstream. EXTREMES FOR PERIOD OF RECORD.--Maximum discharge, 2,370 ft³/s, Sep 8, 2011, gage height, 6.42 ft; minimum discharge, 12 ft³/s, Sep 17, 1965. PERIOD OF RECORD1.--Water years 1923-25, 1958-80, 1991-97, 2005-06.